Here’s a fun and different idea for using up the leftover Easter eggs. 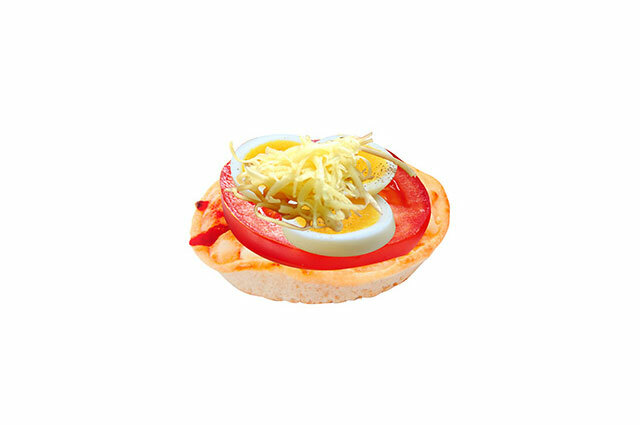 These mini pizzas could be part of breakfast, lunch or dinner, or served as a healthy snack. Kids can help out by assembling their own, which will also help kids get excited about eating them.